The blending of digital displays with car dashboards can make driving seem more like a video game, but that’s the whole point behind High Rise Garage’s GhostDash head-up display. 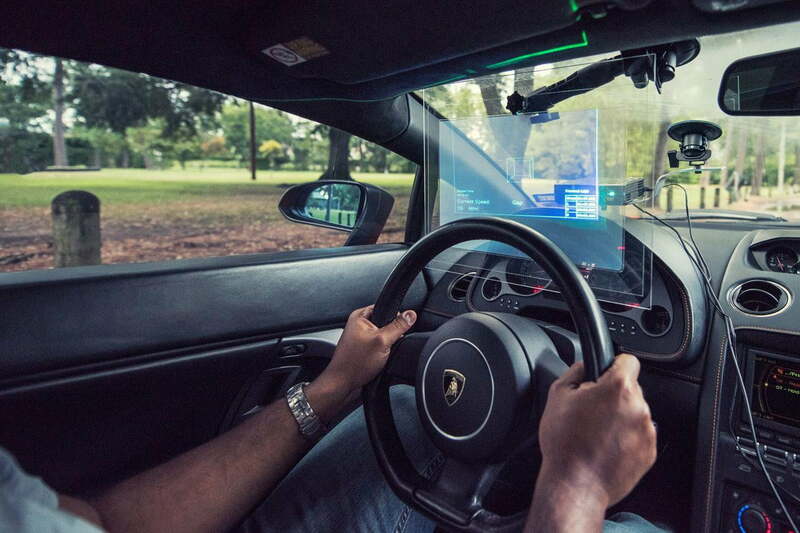 By placing a 98-percent transparent screen ahead of the driver, the system creates an augmented-reality view that includes telemetry and ghost cars to “race” against. By giving drivers a target to aim at, GhostDash’s developers believe the system can help racers find the fastest way around a track. A company spokesman also told Autoblog that there are possible applications in off-track driver education programs. GhostDash consists of a GPS unit to gather raw data, a device for processing that data, a projector, and the 15-inch display screen. The system runs on Windows, and High Rise Garage recommends a Surface Pro tablet as the interface between the GPS unit and projector. High Rise Garage is currently running a Kickstarter campaign to complete funding for this reality-altering device. It says hardware and software development is complete, but it needs $43,500 for final development and manufacturing. Since the system is made up of individual components, it can be assembled piecemeal. Right now, $40 in backing nets the software, while $1,900 adds the screen and projector. For $3,600, High Rise Garage will throw in a Surface Pro 3 and a VBox Sport GPS unit to complete the setup. The company hopes to start shipping GhostDash units in January 2015, but it’s not the only one trying to turn real life into a video-game-like environment. 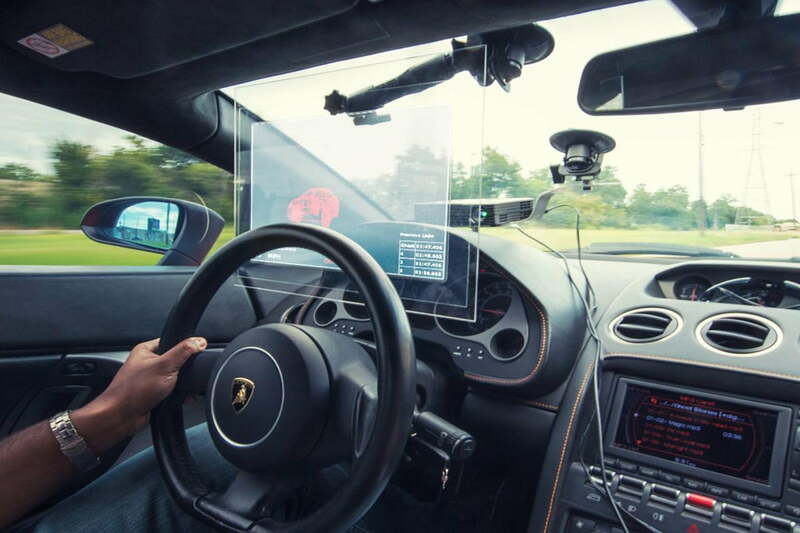 Earlier this year Jaguar unveiled the “Virtual Windscreen,” a head-up display that also allows drivers to chase ghost cars, as well as mark braking zones and lay down virtual cones to create their own digital tracks.